The biannual survey of 500 corporations took executives’ pulse to gauge expectations on what’s driving profits, where they’re allocating capital, and the impact they are seeing from policy changes. 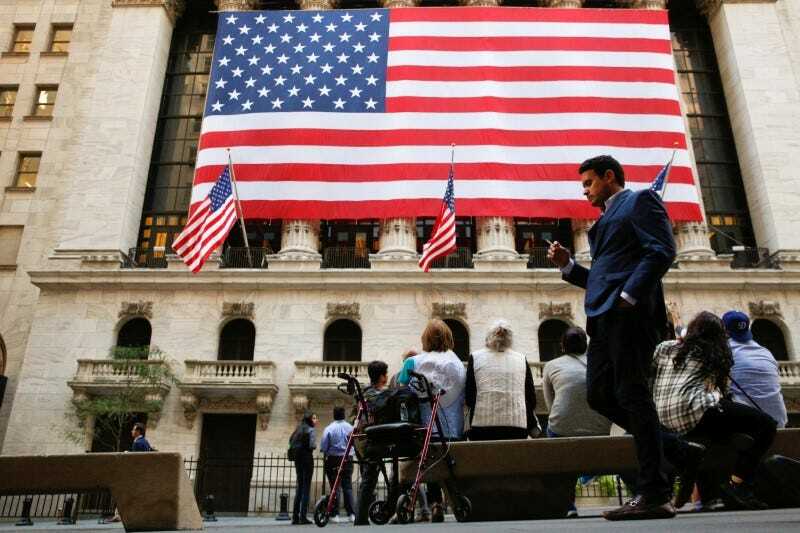 In the final months of last year, during one of the S&P 500’s worst fourth-quarters on record, executives sounded off on their 2019 outlooks in a biannual survey conducted by UBS. 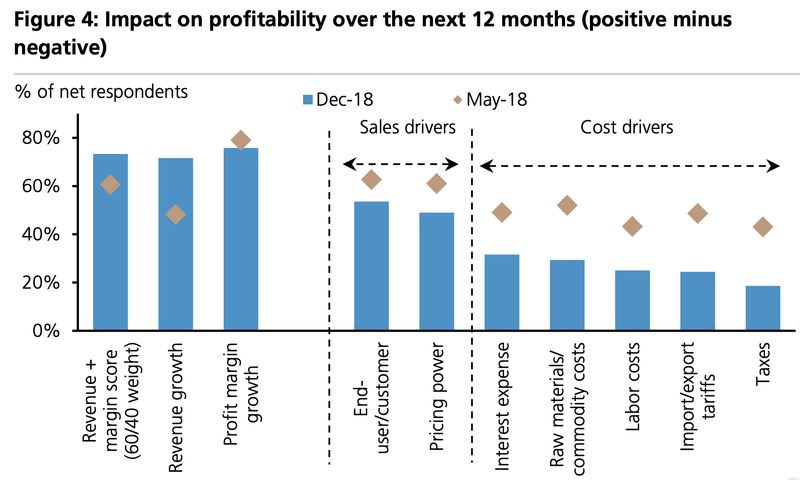 While the outlook for growth has remained robust since the prior survey was conducted in May, cost concerns as a possible threat to profitability rose among executives as interest rates were perceived to be less accommodative. Smaller firms were the “most worried” about taxes and labor costs. In other words, executives became less optimistic about underlying profitability factors like the costs associated with labor, raw materials, commodities, and taxes. The chart below shows the differences between executives’ most recent responses compared to the prior survey. “EPS growth rates are expected to freefall between 3Q18 and 1Q19,” Credit Suisse strategists told clients this week, pointing specifically to a tepid 1.6% earnings growth rate (excluding tax impacts) for S&P 500 companies. And Credit Suisse isn’t the only one worried about a slowdown. FactSet projects S&P 500 earnings will fall 0.8% year-over-year drop during the first quarter. Still, UBS said executives reported “continued confidence” in earnings growth for this year, with 68% expecting profit margins to expand. That’s up from 64% in the May survey. “Strength in customer demand and pricing power are still the key reasons behind the continued optimism, while concerns around cost drivers, including tariffs, have risen,” strategists Keith Parker and Neal Burk wrote. More granularly, executives’ sales- and profit-growth expectations were strongest among financial and technology firms. Healthcare, meanwhile, reported the weakest margin expectations of all the sectors, along with below average sales expectations.